The latest political polling in Tennessee shows GOP Senate candidate Marsha Blackburn with a solid 14-point lead over her Democratic challenger, former Tennessee Governor Phil Bredesen. The news of Blackburn’s strong lead comes days after singer Taylor Swift’s much publicized endorsement of Bredesen on Sunday, an announcement some felt led to a 65,000 spike in Tennessee voter registrations. A majority of Tennessee voters, however, seem to see things differently. The poll of 593 likely voters, conducted by the New York Times from October 8 to 11 and released Friday, showed Blackburn with 54 percent of the vote and Bredesen with 40 percent. Another 6 percent were undecided. The margin of error was plus or minus 4.2 percent. 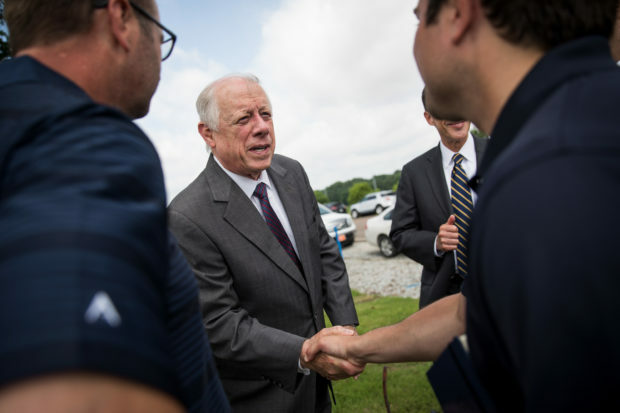 Although anything can happen in politics, it seems like Bredesen is engaging in an uphill battle. While the self-described conservative Democrat was the only Democratic Senate candidate to publicly endorse the confirmation of President Donald Trump’s Supreme Court nominee Brett Kavanaugh, an undercover Project Veritas video released Wednesday night appears to show Bredesen staffers admitting that the endorsement was essentially a ruse to attract moderate Republicans.